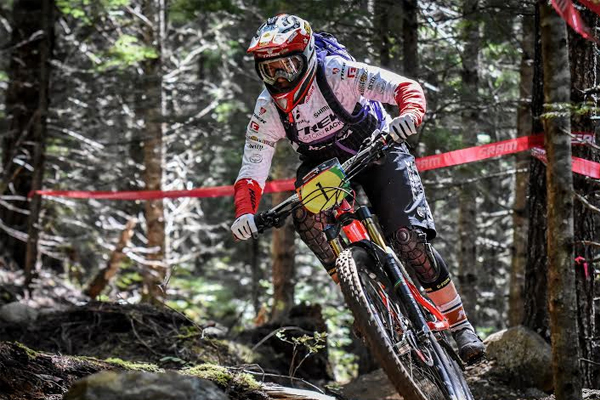 Legends of the trails took on the sixth round of the Enduro World Series in Whistler today in a race which seemed to pick up speed with every degree the temperature rose. Blazing into the finish line under the heat of the afternoon sun, Tracey Moseley acknowledged the combination of rainy weather the day before and heat of the race left many a racer stymied by slick roots and dry turns. Starting from Top of the World and heading for Khyber Pass, Stage 2 proved the big challenge for most racers with a long, open rocky canal and punctuated, in the second half, with short punchy climbs. A true ripper, the men’s top place finisher, Richie Rude, took another tactic, opening it up and crashing through until he could hammer the bottom of the Whistler Bike Park into the main village. “I didn’t feel too good at the beginning of the day and Stage 4 I felt kind of weird and slow, but I think it all came round to Stage 5,” he said, noting he knew he was in second coming into the final push. 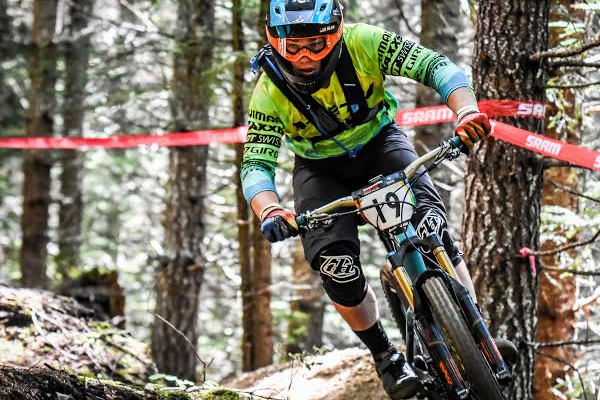 Joining the enduro riders on the hill, a relay team of freeriders, including Cam Zink, Kyle Strait, Greg Watts, Ryan Howard and downhill racer Mikey Sylvestri, took their crack at the course as a crowd-pleasing side. “The big thing is none of us have had any practice. If we had had some practice on the course, it would have helped,” said Zink, competitive streak shining through. With a total 4,270 metres of descent, the riders covered a good chunk of Whistler and Blackcomb mountains, traversing to the Cheakamus Riverside Trails before finishing at the base of Whistler Mountain in the Whistler Village.